Whizometer | How fast ya goin? Draining the Dragon, paying the water bill, taking a whiz, no matter what you call it, when you gotta go, you gotta go. Soon, you're three drinks in and you have to go so bad. As soon as they break the seal, they'll want to keep drinking to beat their buddies latest score. Spend less time needing to clean the bathroom floor. Give them a target they want to aim for, and it’ll help keep it in the bowl. Just needs a quick spritz of the cleaning solution and a water rinse; and it’s good to go for another busy night measuring streams. Take the space you have to have in your business and turn it into a talking point for your customers. They’ll leave your establishment and tell everyone they know about their new discovery. 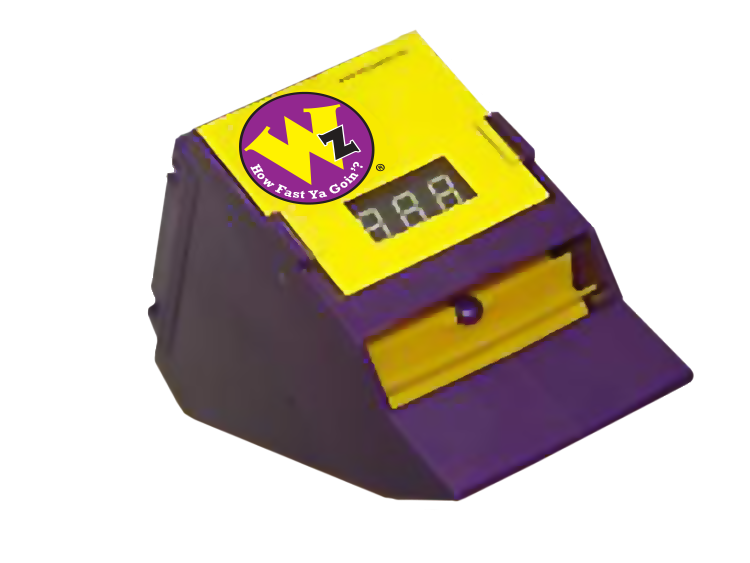 With all the chatter The Whizometer will create for your business, you’ll have more customers walk through your door to test it out for themselves. Give your customers something to talk about and install a Whizometer today! As you line up to the urinal and let it rip, have you ever wondered exactly how fast ya goin'? When a Whizometer is around, nobody cares if the seal is broken. All your friends will care about is who has the fastest stream. Is it faster than an average speed ball, your favorite running back, or even a race horse? You’ll never know until you try it for yourself. Plus, you’ll never want to miss an opportunity to be the best. 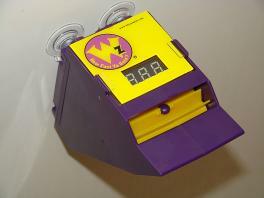 If your favorite bar has the Whizometer, you can challenge others to a friendly competition of who’s the fastest. How does the Whizometer work? Aim for the Wizometer. Then find out—how fast ya goin’? You know you’re a winner, and now you have yet another way to prove it. Eek out the competition and earn bragging rights. Maybe you’re the best amongst your friends, but you’ll never find out until you try the Whizometer for yourself. Want to see the Whizometer at your favorite watering hole? Click here and let them know! I want to know when there's a Whizometer close to me!